Get creative with HTML5 and build animations. Watch our screencast Creating Animations with HTML5 Canvas. Fortunately, we didn’t have to wait quite that long for the next iteration of HTML. In October 2015, the W3C started working on the draft of HTML 5.1 with the goal of fixing some of the issues that were left open in HTML5. After many iterations, it reached the state of “Candidate Recommendation” in June 2016, “Proposed Recommendation” in September 2016 and finally a W3C Recommendation in November 2016. Those who followed this development probably noticed that it was a bumpy ride. A lot of initial HTML 5.1 features were dropped due to poor design or a lack of browser vendor support. While HTML 5.1 was still in development, the W3C has already started working on a draft of HTML 5.2 which is expected to be released in late 2017. In the meantime, here’s an overview of some of the interesting new features and improvements introduced in 5.1. Browser support is still lacking for these features but we’ll refer you to at least some browsers which can be used to test each example. The draft version of 5.1 introduced two different kinds of menu elements: context and toolbar. The former is used to extend the native context menus, usually displayed by right-clicking on the page, and the latter was intended to define plain menu components. 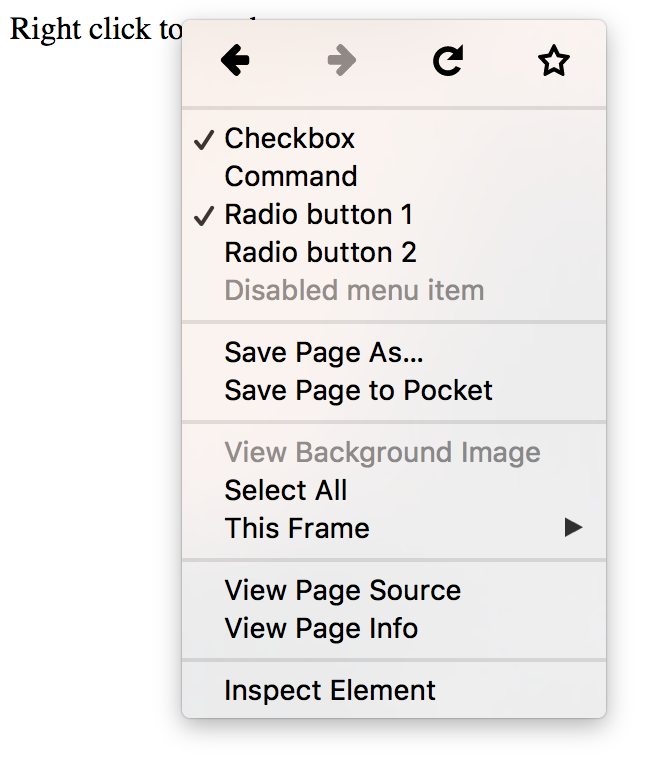 In the process of development, toolbar was dropped, but the context menu still remains. You can use the <menu> tag to define a menu consisting of one or several <menuitem> elements and then bind it to any element using the contextmenu attribute. radio – allows you to select one option from a group. Here’s a basic usage example which works in Firefox 49, but doesn’t seem to work in Chrome 54. The following example has been tested in Firefox and Chrome. The arsenal of input types has been extended with three more input types: month, week and datetime-local. Initially, the drafts of 5.1 introduced two date-time inputs — datetime and datetime-local. The difference was that datetime-local always selected the time in the user’s timezone, while the datetime input would also allow you to select a different timezone. During development, datetime type was dropped and now only datetime-local remains. 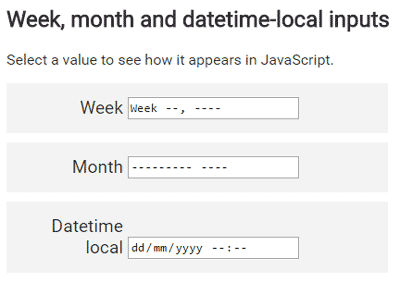 The datetime-local input consists of two parts — the date, which can be selected in a similar way to the week or month input, and the time part, which can be typed in separately. HTML 5.1 includes several new features for implementing responsive images without the use of CSS. Each of these features covers their individual use case. The srcset image attribute allows you to list multiple alternative image sources which vary in pixel density. This allows the browser to pick an image of the appropriate quality for the user’s device (determined by its own pixel density, zoom level or network speed). For example, you might want to provide a lower resolution image for users with small phones on slower mobile networks. In this case, if the users’s pixel ratio is equal to 1, the low-res image will be displayed, for 2, high-res will be shown and for 3 and above, ultra-high-res will be chosen. <img src="images/low-res.jpg" sizes="(max-width: 40em) 100vw, 50vw"
The sizes attribute defines the width of the image as 50% of the width of the viewport when the width of the viewport is greater than 40em, or 100% of the width when its lower or equal to 40em. If it’s not enough for you to change the size of the images for each screen and you need the ability to show completely different images, then you can use the picture element. It allows you to define images with various sources for different screen sizes by wrapping your <img> with a <picture> element and specifying multiple child <source> elements. The <source> element then acts as the source of URLs to load the images. If you’re curious to find more about responsive images, I suggest the SitePoint article on How to Build Responsive Images with srcset. The new boolean allowfullscreen attribute for frames allows you to control whether their contents can present themselves on full screen by using the requestFullscreen() method. This new element.forceSpellCheck() method allows you to trigger spell check on text elements. This is also the first feature in this list that is not available in any of the browsers yet. Potentially, this could be used to perform spell checking on elements that haven’t been directly edited by the user. The inert attribute was meant to disable user interaction for all child elements. Kind of like adding the disabled attribute to each of them. The <dialog> element provided a native implementation for popup windows. There was even a convenient form integration in mind — setting the method attribute on <dialog> would prevent the form from submitting itself to the server, but rather close the dialog and return the value to the creator of the dialog. 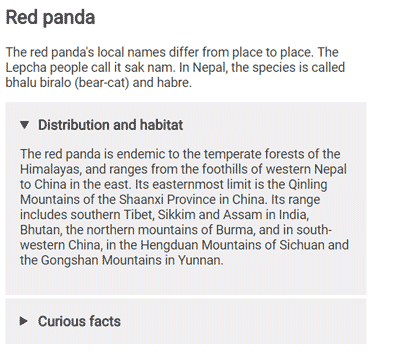 See the Pen HTML dialog element by SitePoint (@SitePoint) on CodePen. This is by no means a complete list of the changes in HTML 5.1. There are many minor new features, changes that have been adopted from the Living Standard and other unused features that have been removed. If you would like to check out a complete list of changes, have a read of the Changes section of the specification. In the meantime, let’s hope that the browser vendors will pick up the new features quickly! 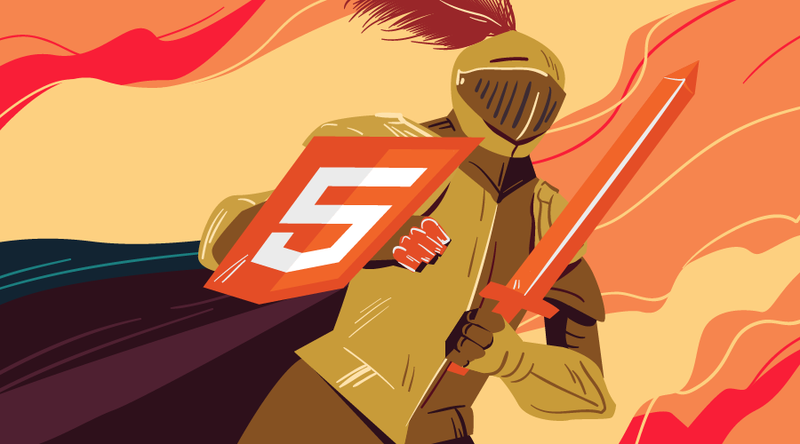 What aspects of HTML 5.1 are you most excited about? Let us know in the comments! Get creative and start using HTML5 to build animations. Check out our screencast Creating Animations with HTML5 Canvas for more.